They are well versed with the varied components of a vehicle ranging from engines to security systems. In order for you to qualify as an automobile technician or mechanic, you require training that will provide you with the theoretical and practical skills that you need. Excelling in this type of career requires you to enjoy working with your hands and being a practically skilled professional. 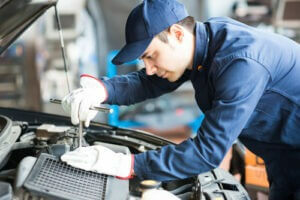 You need to have a thorough understanding of how vehicles work and have an eye for detail. Your problem solving skills will be tested regularly as well as your ability to identify faults. Since you will be dealing with all types of people and their cars, it is important to have good communication skills and value all your customers. Automobile technicians understand the technology involved, can work fast and follow instructions keenly. They should also be physically fit because the job requires them to move around and be active. If this is the field you choose, you need to be willing to keep up with developments in the industry and adhere to regulations. Automobile design is another worthwhile option for automobile enthusiasts. It involves creating concepts, making sketches and using software to design cars. Automobile designers are expected to provide intricate details of the design and come up with visually appealing features. They require knowledge about the process of building cars and their mechanisms. For this type of work, you need to be creative, have the ability to draw and mould vehicle shapes. Automotive design training and internships are necessary for gaining the knowledge and experience required. Automobile designers are usually hired by vehicle manufacturers. Manufacturers are always interested in finding skilled designers who can provide new ideas and help them become more profitable. Among the most interesting ways to get into the industry is through sales and marketing. This enables you to get familiar with a range of vehicles, inform buyers about them and make sales. Working at a dealership exposes you to numerous sales opportunities where you will need to convince customers to try out different vehicles. Since you will represent the dealership, you will encounter several customers who want to find cars and get good customer service. Customers need to be assured that you are working towards helping them find the best car for their needs at a good price. A good automobile salesman is sincere and committed to the job. You should have good time management skills and dress appropriately. You may need to work extra hours or during weekends and maintain your enthusiasm while interacting with different customers. Automobiles are essential commodities all around the world and the industry offers numerous career options to choose from. James Wright is a sales and marketing consultant who has worked in the automobile industry for several years. For more information, visit http://leasequit.com/.